I am back with more reviews from Nail Art SG polishes! 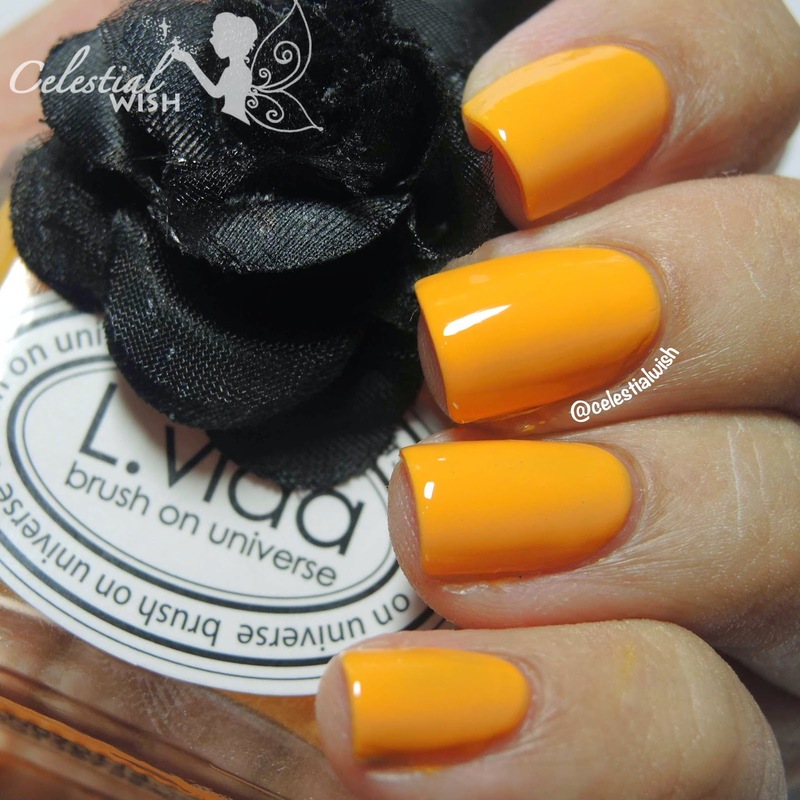 This time it is from another range of polishes that NailArtSG is carrying, L.Vida. This is another range of products from the land of Korea! In the NailArtSG site, you would be able to find this range under the "PRO Nail Polish" section The products used to made this L.Vida polishes are all eco-friendly! They are 3-Free polishes and they are able to last long on your nails due to the strong color formulation! Today, I have 2 cremes to show you all! First we have, Baby Orange (LC18). This is a yellowy-orange polish! 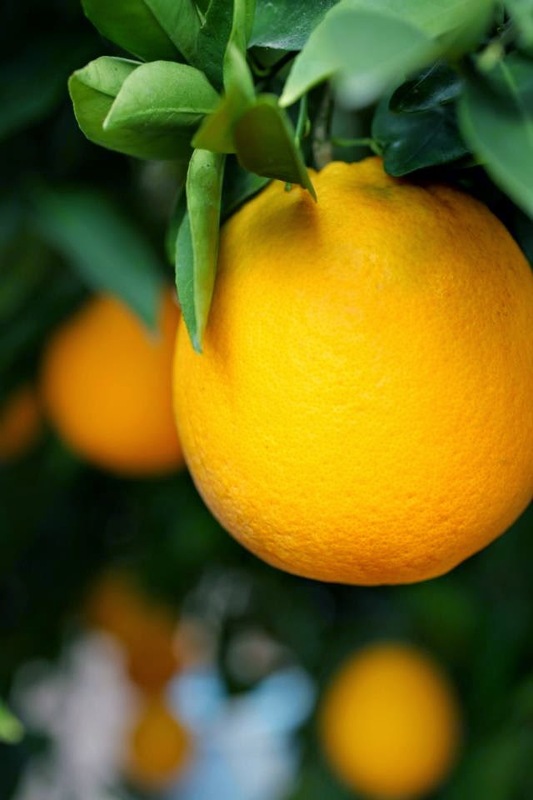 Think of an orange fruit that is on the process of becoming ripe! Just like this orange here! There is definitely more time for allow the fruit to ripen before you cut it open and eat it to enjoy a sweet fruit! Well, that is unless you like sour oranges! So, this is how the polish looks like in real life! This is 2 coats of Baby Orange with basecoat and topcoat! It is fairly opqaue, however it would still require 2 coats for full opacity! You would not want to have an uneven color, would you? Haha! Next, it is Aqua Green (LC24). Well, honestly I am not really a "green" type of girl. However, I have got to say, this polish is amazing! It has definitely changed my opinion on green polishes! Just take a look at its beauty! What is your take on this green polish? I really love this color! In fact, this polish has changed my opinion about green polishes! The consistency for this range of polish is extremely smooth, I did not have no problems trying to apply the polish on my nails! I would say that it is the same consistency as the Vidanails, so if you would have tried the Vidanails series from my previous review of Creamy Grape and Blue Marine, you can totally expect the same type of quality from the series of polishes Nail Art SG carries. The owner actually goes out to try each product by herself to ensure the quality is of an extremely good quality! So, you would definitely have to try them out! 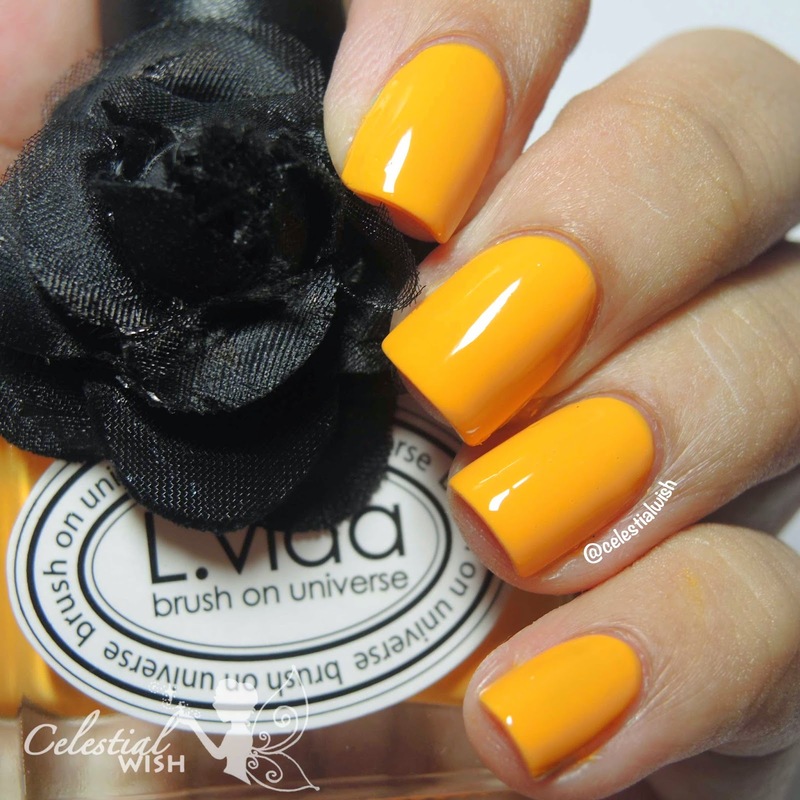 I am impressed with the entire range of L.vida polishes! I love the choices of color they have as well as the way they carefully package each polish to have a flower attached to the stem of the bottle.